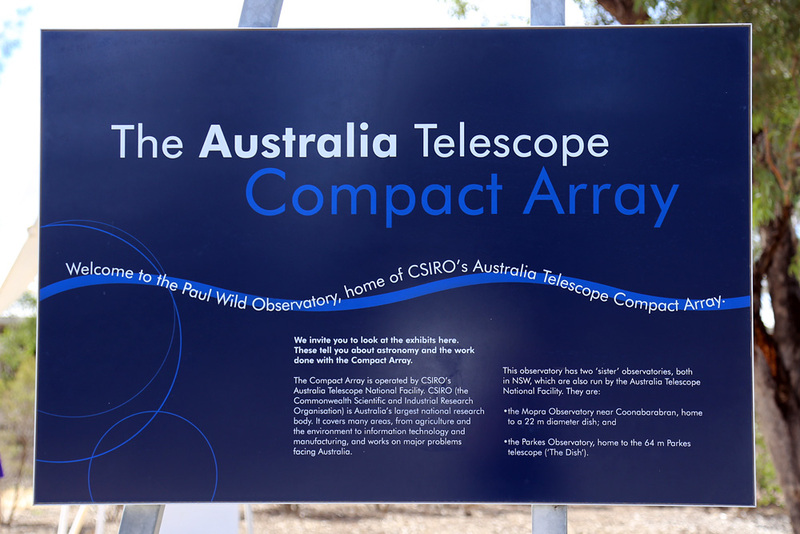 While at OzSky most of us made the 90 minute drive to the town of Narrabri and the Australia Telescope Compact Array (ATCA), located outside the town at the Paul Wild Observatory. 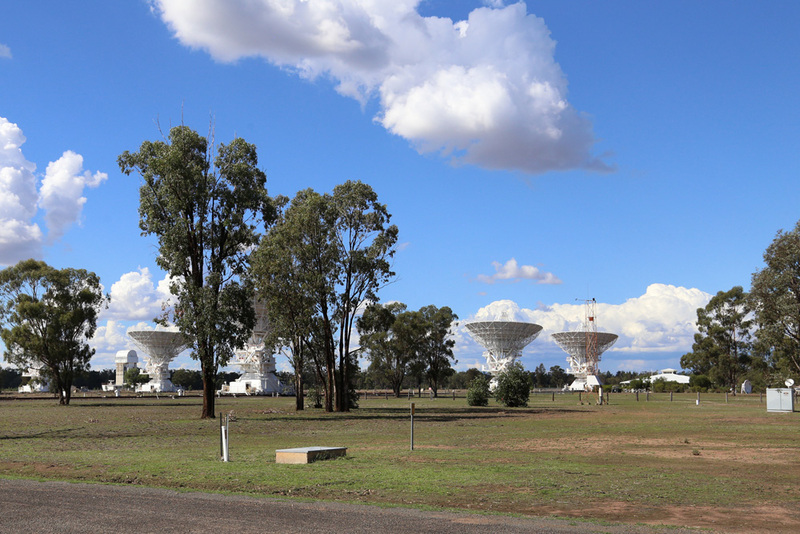 This is run by CSIRO (the Commonwealth Scientific and Industrial Research Organisation), along with facilities at Parkes (this was featured in the film ‘The Dish’), Coonabarabran (the Mopra Radio Telescope, just down the road from Siding Spring) and the Australian Square Kilometre Array Pathfinder, another radio telescope, out in Western Australia. 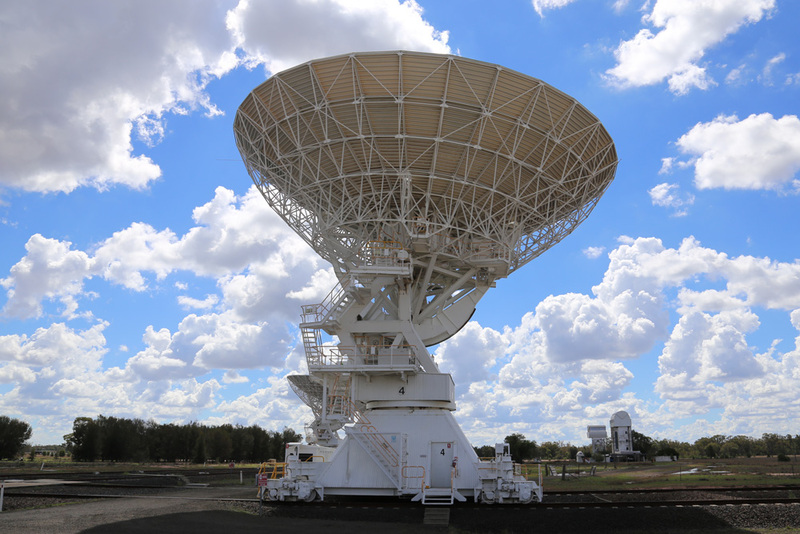 ATCA operates all year round, 24 hours a day, no matter what the weather is doing, as radio signals can be gathered all day – unlike optical telescopes which need a clear dark sky in order to gather data. 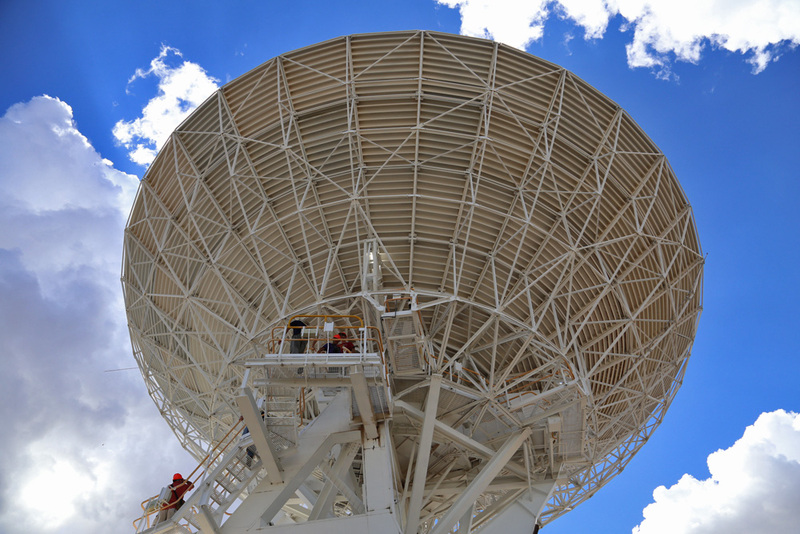 The dishes use interferometry, which allows smaller telescopes to work together and act as a much larger instrument, meaning the telescope can see very fine detail. 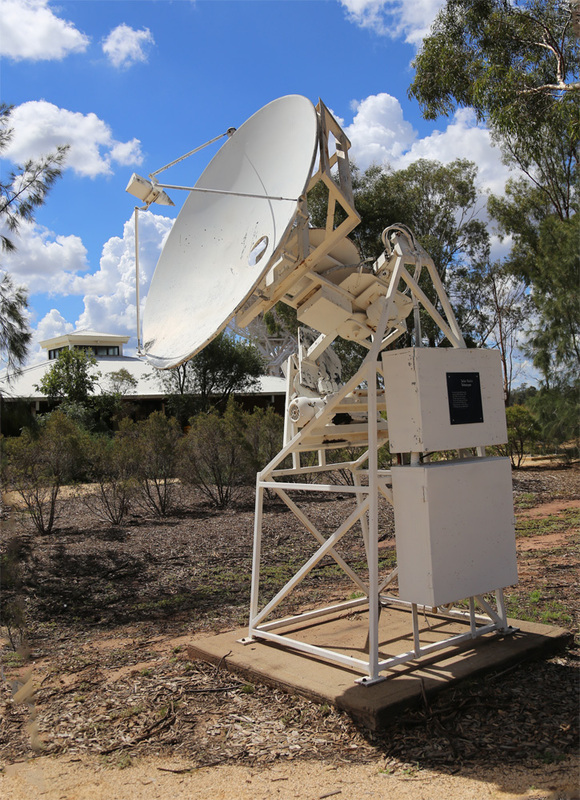 Several times a year, the Array will be used with other radio telescopes across Australia to observe very, very fine detail. For larger, ‘fluffy’, objects the telescopes are moved closer together, for smaller ones they are moved further apart. 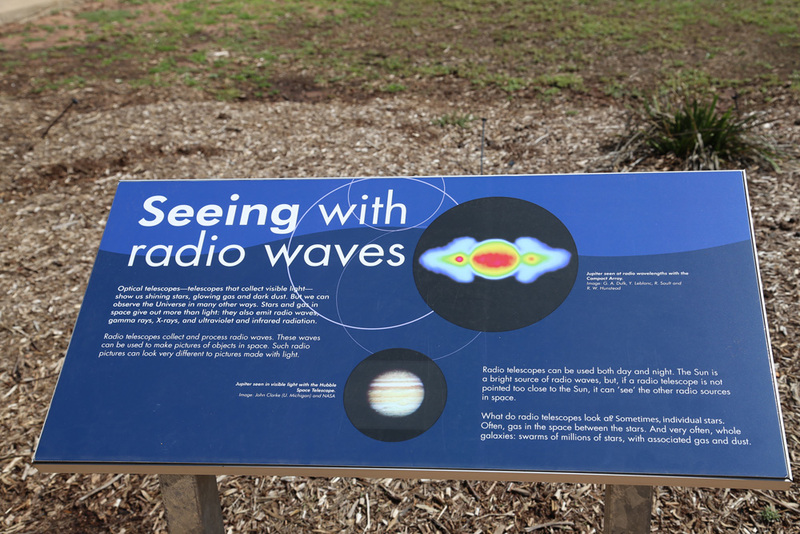 As you approach the observatory, signs ask you to turn off electronic devices such as cellphones and radio transmitters, because these will interfere with the observations being made; unlike optical telescopes, radio telescopes are making observations day and night and are vulnerable to radio and electrical interference, in the same way that optical telescopes are compromised by light pollution. 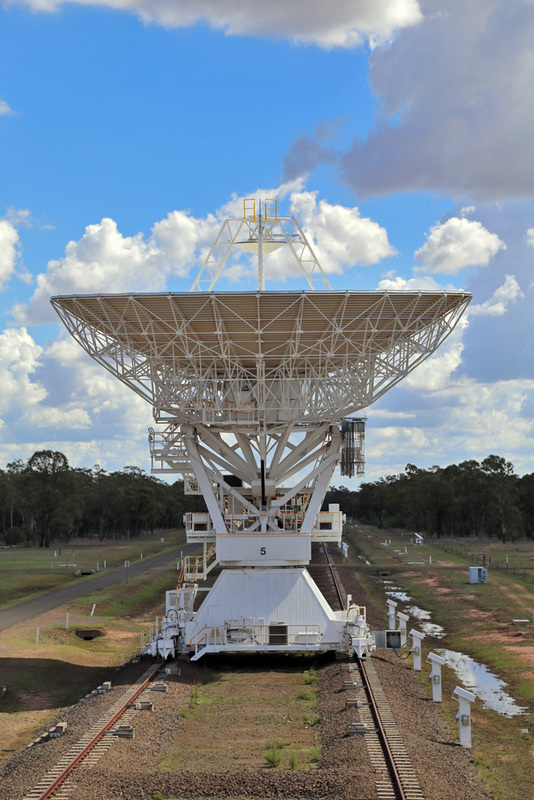 WIFI will also interfere with the telescopes’ operation, so all iPads, iPods and similar devices were also turned off. 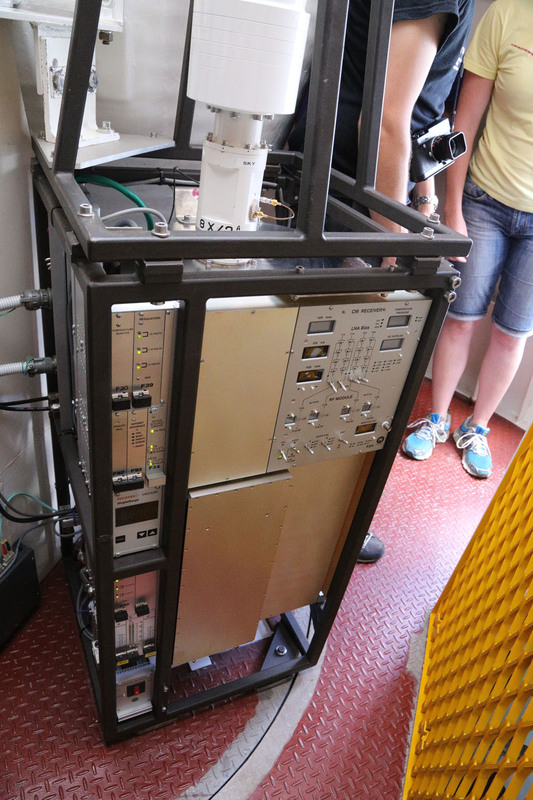 The group was split into two, because there is not much room in the dishes to accommodate large groups, so those of us in group two looked round the exhibition, which explained radio astronomy, before our turn to go up into one of the dishes. 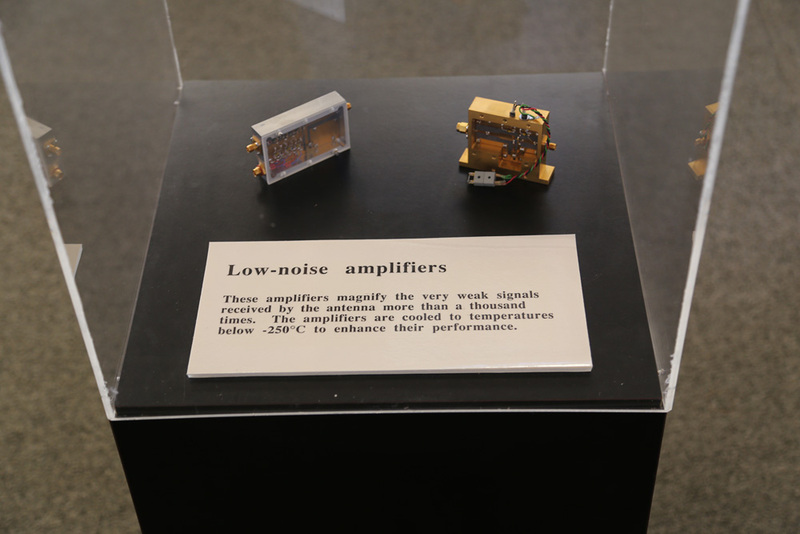 Outside the exhibition was a small radio telescope which visitors could aim at the Sun; doing this produced a crackling noise which was solar activity translated into sound; the stronger the activity, the louder the hiss. 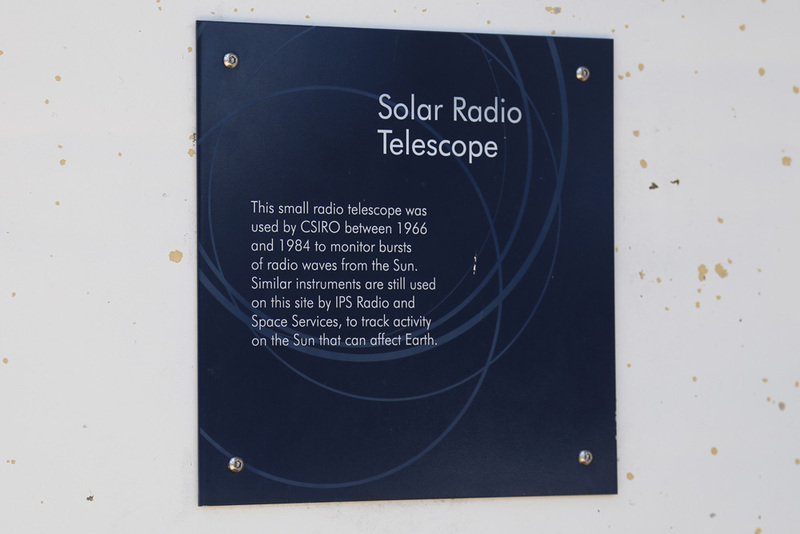 Another solar radio telescope was nearby, this was used to study the Sun between 1966 and 1984. 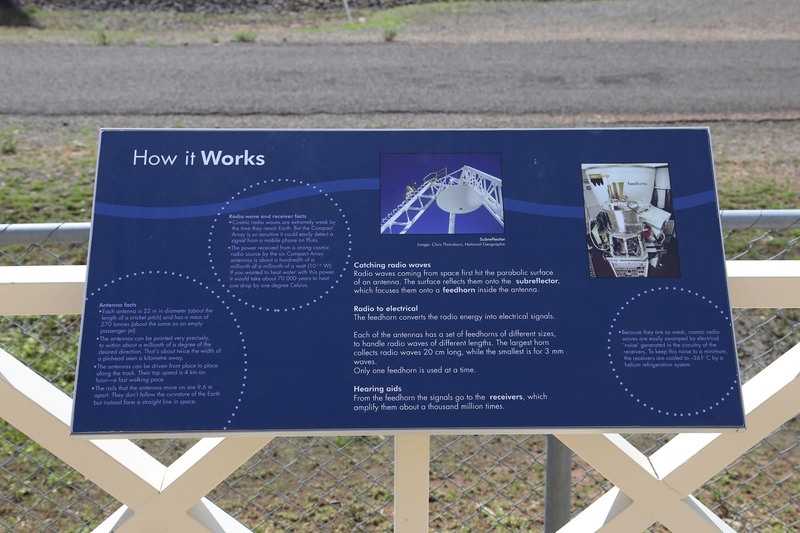 There was a lot of information explaining how radio astronomy works which, to someone like me, who has never really got into the subject, was interesting and informative. 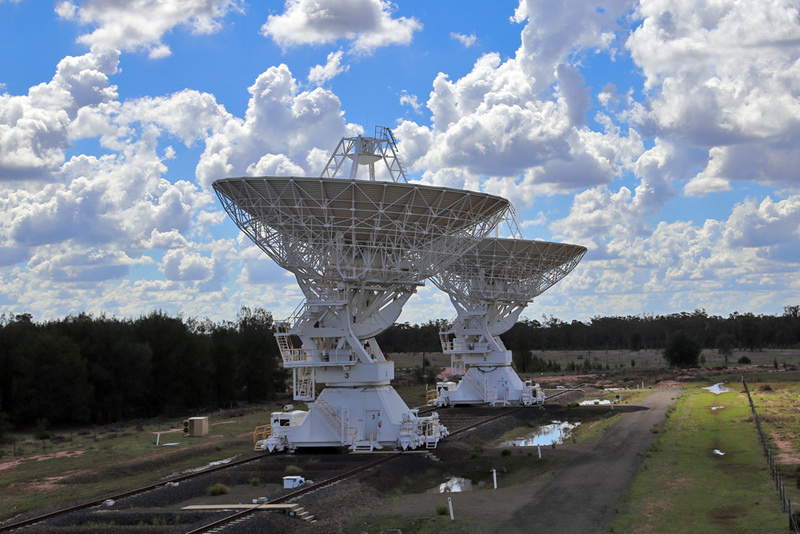 The array consists of six telescopes, five of which can be moved along a 3 kilometre railway-style track. The sixth dish is located 3 km west of the end of the main track. Each dish weighs 270 tonnes, about the same as a fully-loaded Boeing 747, and each is 22 metres wide. On this day, telescope 4 was the nearest, so this was the one we visited. We had to don hard hats (just as well because – entirely typically – I hit my head!) and wear closed-toe footwear to go up onto the dish. 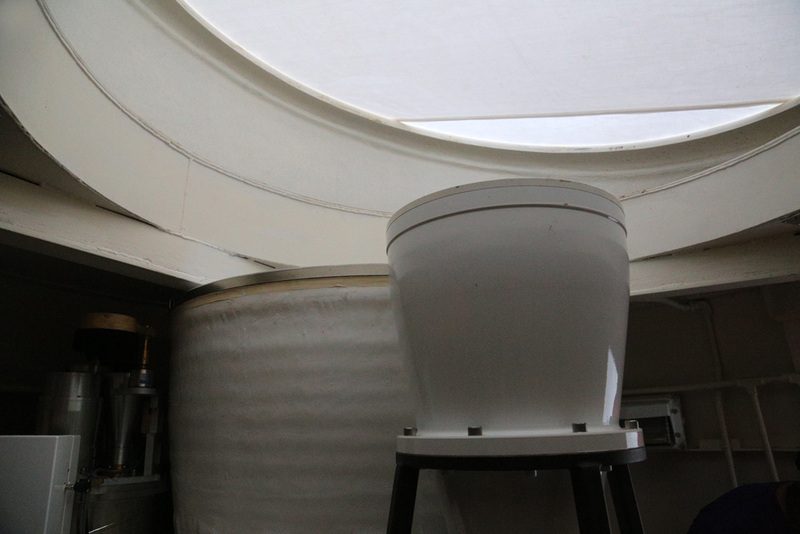 We climbed several sets of stairs to the top and into a tiny room just under the dish itself where we could see the feedhorns and the receiver. 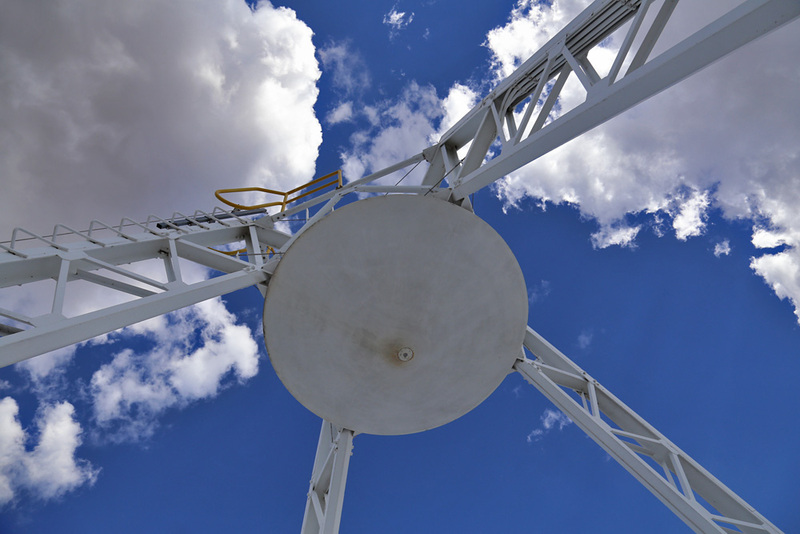 From there we climbed out onto the dish itself; the photo below shows the subreflector at the very top, while the next three photos show the feedhorns and the receiver. 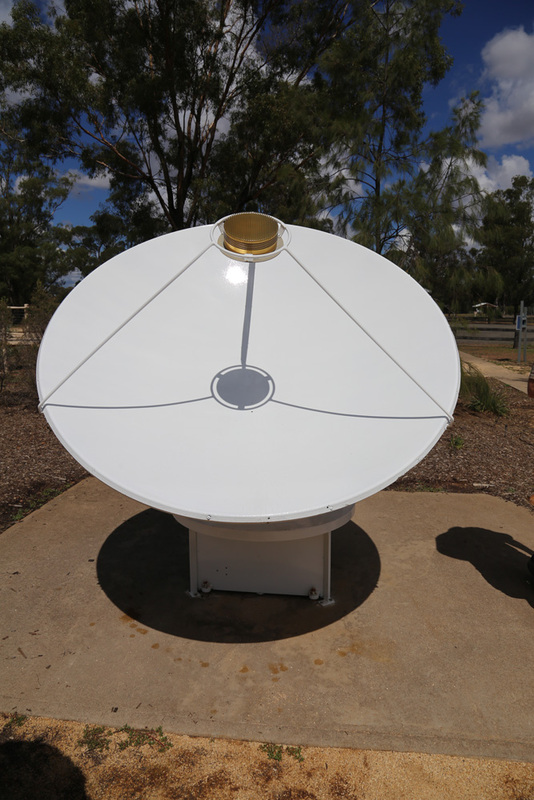 The subreflector picks up the radio waves reflected from the dish surface and focuses them into the feedhorn which, in turn, converts them into electrical signals. 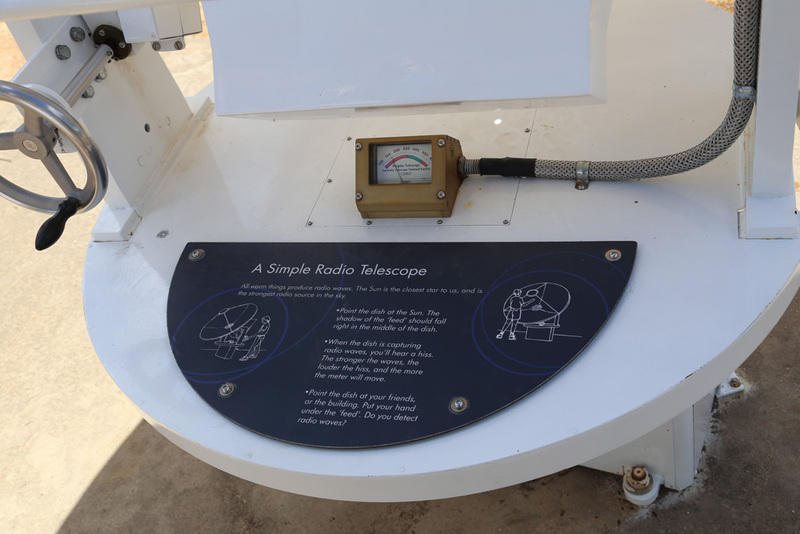 Each telescope has a set of different feedhorns, only one of which is used at a time, and each feedhorn is designed to pick up radio waves of certain lengths. 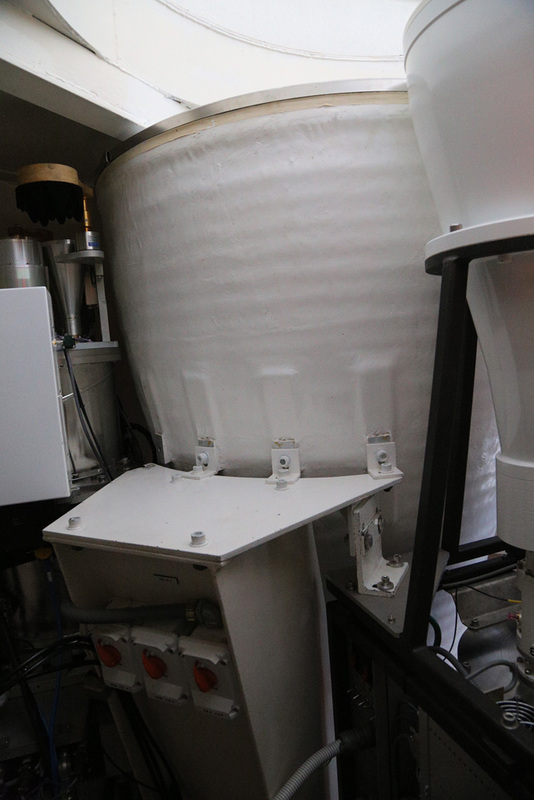 The largest feedhorn collects 20cm waves while the smallest collects 3mm waves. 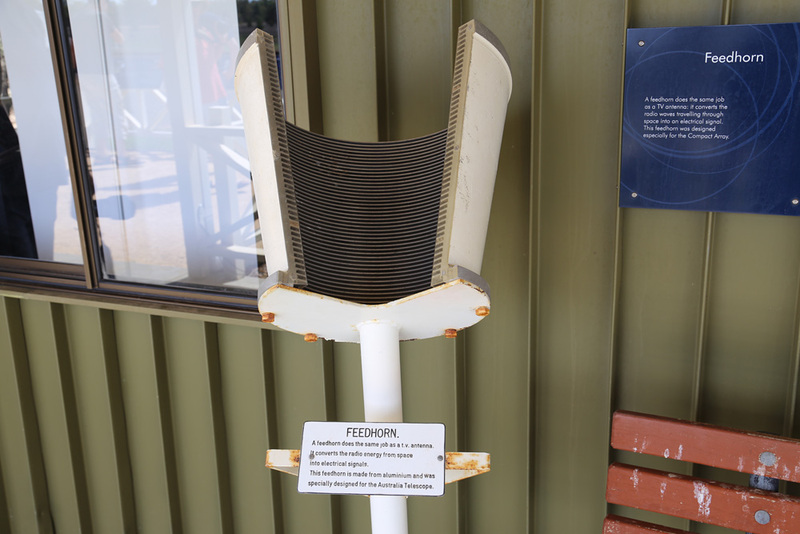 From the feedhorn, the receivers collect the signals and amplify them millions of times. The view from Antenna 4. Note the huge puddles, the area had a lot of rain prior to our visit. 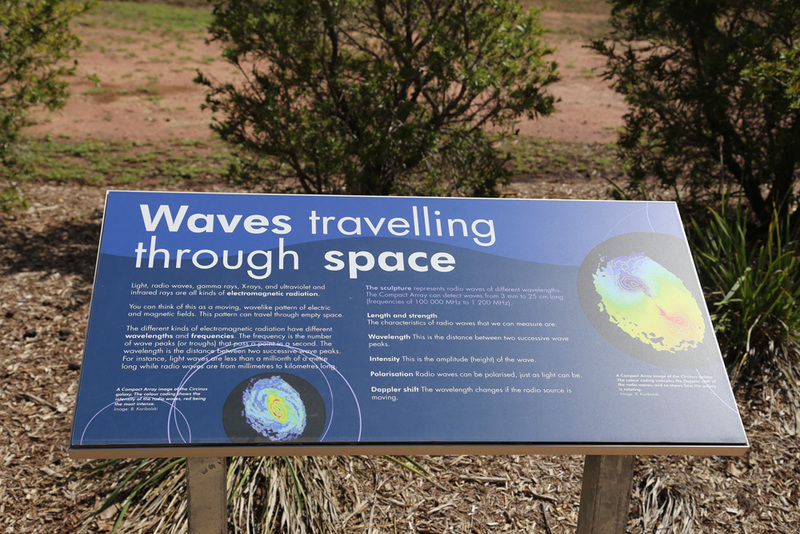 NB, this doesn’t affect observations because a radio telescope can operate in all weathers. 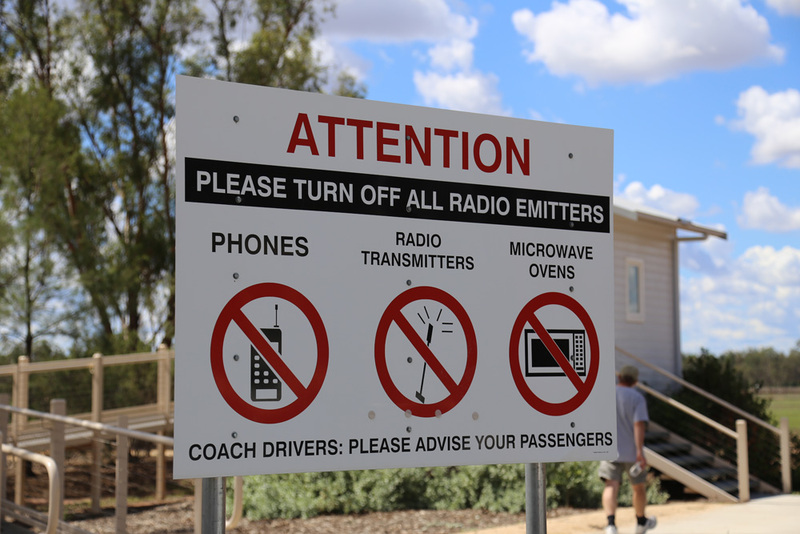 After we left the antenna we had a look at the control room, located in a building across a paddock from the visitor centre before heading back to the motel, via Narrabri for something to eat, arriving back in the early evening just in time to get ready for the night’s observing. I can’t claim to have remembered some of the more technical information we were given during our visit, so I raided ATCA’s web page for information about how the system actually works. For more, see their site here and, also, go to their live page to see what the antennas are up to right now. 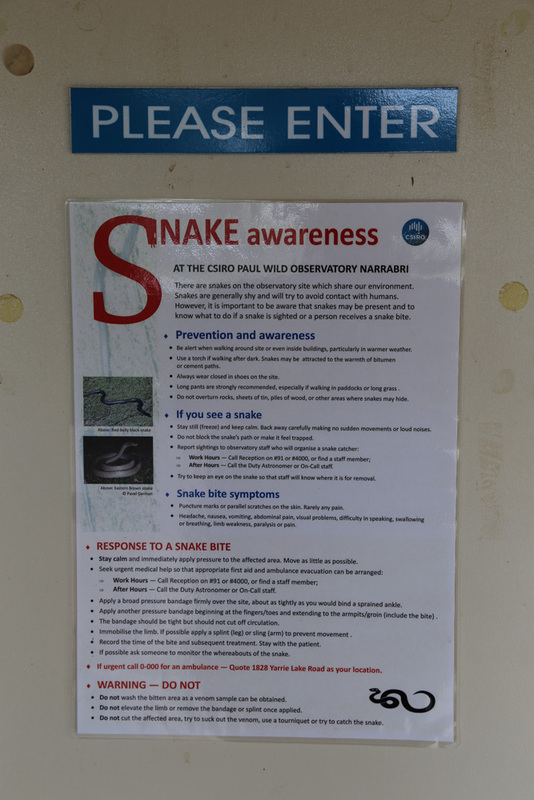 This entry was posted in Australia, Observatories on April 19, 2014 by FJA.